This is just a small selection of wine wedding invitations to give you some ideas – the majority of our wedding invitations on the main page are available with ribbon to match your colour scheme. 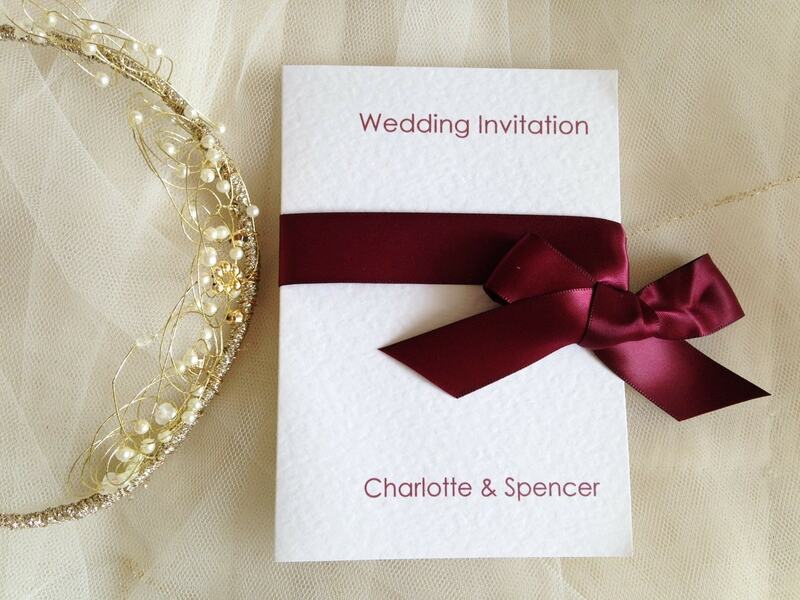 The colour wine is also know as burgundy which takes its name from burgundy wine. It is also similar to other shades of dark red such as maroon, cordovan, and oxblood. The berry-hued, wine-inspired jewel tone is a perfect addition to any autumn or winter colour theme, but can also work for some daring spring and summer as well. 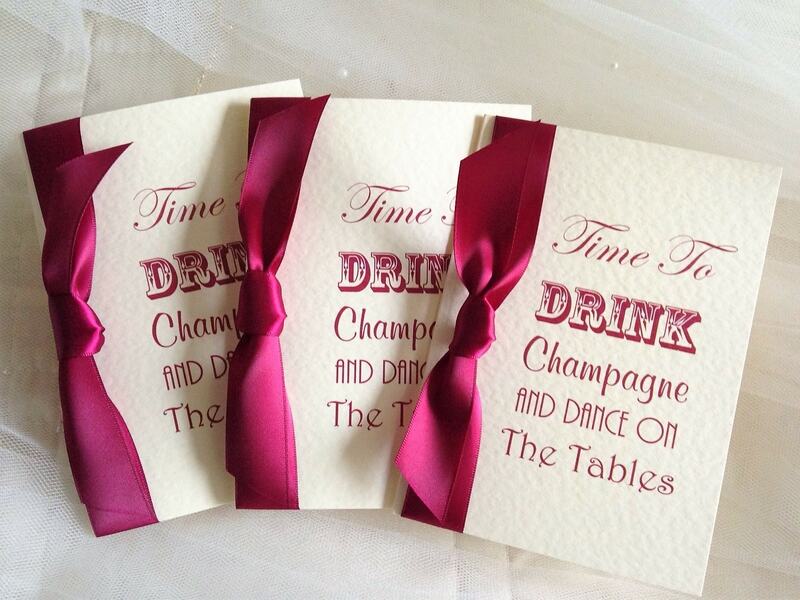 We stock wine ribbon in satin and organza and can even print your invitations in a dark red typeface if you wish. 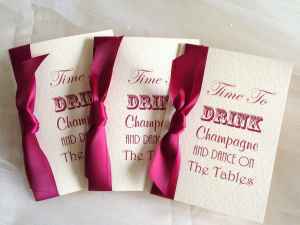 Order your wine wedding invitations today.